If your talking about like a pub band, or even your basic rock/live, then I would say that being able to read music is of little value or relevance. Unless your someone like Metallica (just an example), who have people covering their tunes all the time etc... as a drummer you tend to just go with the flow and feel of any song, unless your trying to ensure you play the exact same thing everytime, perhaps like a solo or something. Thats what I think. Actually even if you watch bands like Metallica, the live versions tend to vary slightly anyway, usually with extra bits thrown in - probably the exeption here is some of the top levle iconic drumemrs like Danny Carey, Neil Peart, Bonham where these guys play it the exact same way everytime without fail, purely becuase their muscle memory is soo good form years of practise, dedication and mastery of their skill, and each strike is so deliberate and planned in advance. Well being able to read proficiently is a great skill to bring into a band, whether you will ever need to is a different question and depends on the band, the music, and where you are going with it. I was talking about a rock band, what then? While it's good to be able to read sheet music, it isn't a skill that's needed in a rock band. 9 out of 10 rock guitar players can't even read guitar sheet music, so you shouldn't have to worry about reading drum sheet music. Just be able to communicate, take suggestions, and know the material you're playing. The thing about reading drum sheet music for a rock kit/music is it's really not all that difficult. It's much easier than learning to read music for guitar, so why not? It may not be absolutely necessary, but it certainly won't hurt. For certain jobs reading notation is a must. But, I played professionally for 15yrs full time doing studio and live work. For the past 10 years I have been playing semi-pro (part time). In all those I only lost 1 studio gig because I cant read notation. I am however very proficient at reading a Nashville Chart which is a skill I have had to use countless numbers of times. In order to read the sheet music you want to play, it would have had to have been already written up. What would you do if you couldn't find the song you needed? Rock (IMHO) can pretty much be learned by ear. Reading may not necessarily be required to perform that genre. I'm very familiar with Nashville notation for Guitar and Bass charts, where they use numbers for the chord cymbals, what is the Nashville notation for drums just reading these same charts, or is there a different type of notation from drums? 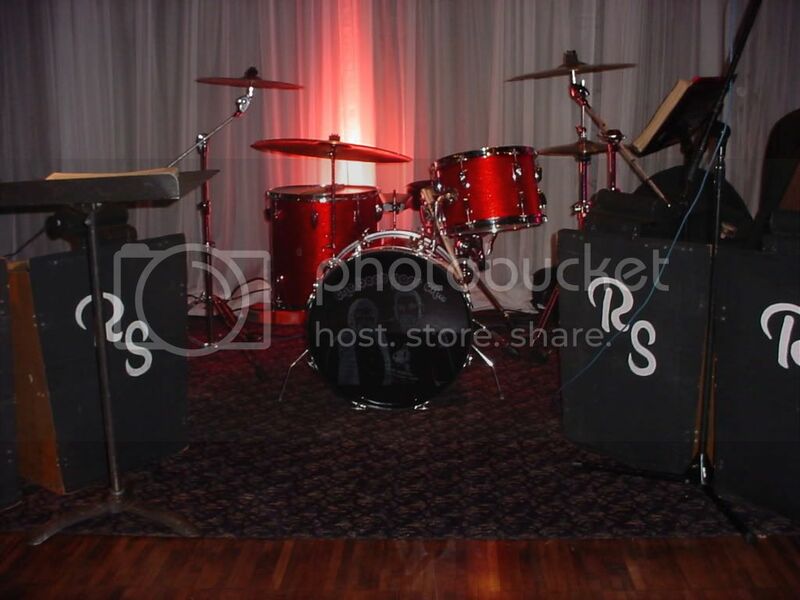 In the scenario as described, it would not be a necessity that a drummer be able to read. What will be required is a drummer with sufficient background in music to note chord changes and AABA patterns in the structure of the music. In other words, where the chorus changes, the Bridge comes in and the resolution of phrases where a drum fill introduces the next strain. All of this is easily acquired by listening to the band and flowing with it. Its the same. The chart just shows you the changes and breaks ect. First, locking in w/ a tight groove w/ your bass player, and getting along w/ the other mates in the band, and oh yeah...laughing at the drummer jokes! i had all my beats written down when i first started playing, but not now, just kinda go with it. Thanks for the info, good to know!! I think rock n roll is meant to be free of all the reading and theory and what not. It is freedom music. Take the WHO for example...Could you imagine them up on stage with their music stands reading charts? No, but I can imagine them in the studio reading the sheet music to a song until it is learned and can be performed live w/out the charts like it is done all over the world in studios today spanning all styles of music. sheet music was written by people who think music should be about rules, discipline, and conformity. In the real world of professional musicians, a drummer who can read and write sheet music is almost always utilized in more areas of music than those who cannot. Just pick up any drum magazine and you can read about professional drummers (who are considered "greats") who tell horror stories of when they first started out about the shame and embarrassment of having to bring another drummer into the studio to record their drum tracks because they could not read the music provided. Not to mention all of them turned away from gigs( live,studio, etc..). Reading music is more than just " a plus" and in the world of professional drumming it is a "necessity". However, when you are just starting out, don't sweat it. Have fun jamming and take every opportunity to learn as you grow in your instrument. No worries. Last edited by Reverend D.; 03-18-2009 at 04:37 PM. You don't need to read music. I can't either (well, not much a all... I can a tad). I plan on learning though. There's no reason to limit yourself So while you don't need it, I'd think it would be a good thing to learn anyways, even if you never use it. Stating an oppinion in a factual way does not make it fact. It is not that he or any drummer does "not need" to read music, just that it might not be required of them in their current drumming situation. Also, just because a person is unable to do something does not mean that skill suddenly becomes unneeded. "Never use it"? Every drum magazine has the recent radio hits drum parts written out in sheet music form, plus rudiments and sticking exercises. Reading music is becoming something "expected" of drummers, no matter what style they play. It would be a shame to miss out on all of that. In the long run it will make you a better and more sought after drummer. Last edited by Reverend D.; 03-18-2009 at 06:28 PM. I wouldn't say it's necessary. I can read music but never have for drumming. I suppose I'm unsure of how well other do with this technique, but if I can match just about any drum part by ear. Perhaps if you're playing Lateralus by Tool or something and would like to make learning the polyrhythms easier, but in my opinion it's not a large issue overall. of the idea. This ability to communicate continues to live on even though we do not. Does all of this mean that you cannot enjoy the drums without knowing how to read the music? Of course not! If that were the case then there wouldn't be the audience. But, let me ask you, and be honest with yourself...how many of you play your drums with the idea of showing off your talents? We all do!! Is anyone listening to you going to really care if you can read music or not? Well, I kind of hope someone will because, if what you're playing is any good, someone else, some where, is probably going to want to know how to play just like you. And that means that someone is going to have to transcribe what it is you played and write it down. And that, my friends, is the other side of being able to Read music.